In a typical Massachusetts personal injury case in which negligence is alleged, assumption of risk will not be a defense. This is because someone who has a duty, and fails to act properly under that duty cannot shift the blame and claim the victim took the risk of that breach occurring. The law prefers that actors are held responsible for their injurious behavior despite any assumptions made by the victim. What the defendant can argue however, is that an action of the alleged victim made it the cause and not the action of the defendant. Or that they share responsibility, but the victim shares more of the responsibility. This will not entirely prevent a negligence action from being successful. But it may ultimately reduce an award that the victim could get. 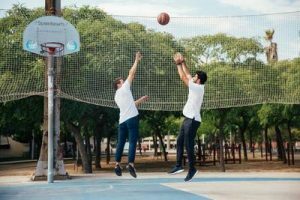 If you have been injured in a sports related activity where you entrusted your safety to someone, or an organization, ad you feel they failed to protect you, then you my have a personal injury case. Call the Law Offices of Jeffrey S. Glassman today to investigate your story and get you paid for the injuries you suffered. Call them today at (617) 367-2900.